Almost brand new craftsman style home loaded with upgrades and charm! You will fall in love with this wonderful master on main the moment you step inside! Featuring 5" hand-scraped hardwoods on the entire first floor and a gorgeous custom reclaimed wood wall in the family room. This open floor plan offers a modern kitchen with white cabinets, stainless appliances, and granite. Upstairs you will find 2 spacious additional bdrms, a full bath and a small loft area. 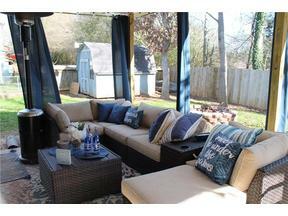 The private fenced backyard is a great place for kids, pets and entertaining. Don't let this one get away!